A survey of the landscape of the 2016 race to succeed U.S. Sen. Barbara Boxer reveals that state Attorney General Kamala Harris, who announced on Tuesday that she’s in, is a clear and strong front-runner whose most threatening potential opponent is billionaire environmentalist Tom Steyer. True, California voters often have slapped around rich people who have tried to bully their way into the top tier of politics (see Al Checchi, Meg Whitman, Carly Fiorina, Neel Kashkari). But Steyer, who has yet to announce his intentions, for years has been a player in state and national politics. He used some of the gazillions he made as a hedge fund manager to create NextGen Climate Action, which last year supported climate-change friendly candidates across the nation, albeit with scant success, and also has backed and opposed important California ballot propositions. He served as a delegate to the Democratic National conventions of 2004 and 2008, and has worked or raised money for Walter Mondale, Bill Bradley, John Kerry, Hillary Clinton and Barack Obama, among others. So he’s not your run-of-the-mill political dilettante. Hello Michael Huffington. Consultants, We Got Consultants: Steyer has the sharp-tongued Chris Lehane and the smart and prudent Jason Kinney as consultants, with wily veteran Paul Maslin as a pollster. If he decides to get in against Harris, the June 2016 open primary race will get very expensive and possibly nasty – opening the possibility for a Republican contender to make the top-two runoff in November. On the other hand, Steyer could make a more uncertain play and angle for a shot at Senator Dianne Feinstein’s seat in 2018, assuming The Great Woman steps aside, which is a big assumption. Harris, meanwhile, has top California strategists Ace Smith, Sean Clegg and Dan Newman, with the dependable David Binder as her pollster. Her kitchen cabinet includes her husband, LA attorney Douglas Emhoff; her sister, Maya Harris of the Ford Foundation and Maya’s husband Tony West, former associate U.S. AG, who now is general counsel at PepsiCo and a very impressive guy. (At least half of us met West when he ran for San Jose City Council back in 1998, but lost because he couldn’t get labor backing; we said at the time that he could be president, if only he could get elected a councilman. But we digress). Harris has a substantial financial base and considerable electoral chops (she won 67% in LA County in the last AG’s race, fercryinoutloud). She also has some impressive accomplishments, most notably her pivotal role in the National Mortgage Settlement against five banks: Ally, Wells Fargo, Bank of America, Citi Bank, and Chase. After rejecting the initial settlement offer (against the wishes of Dem Party leaders) because it was too low, she won $12 billion of debt reduction for California homeowners and $26 billion overall. I have worked to bring smart, innovative and effective approaches to fighting crime, fighting for consumers and fighting for equal rights for all. 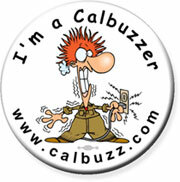 I want to be a voice for Californians on these issues and others that impact our state in the U.S. Senate. I will be a fighter for the next generation on the critical issues facing our country. I will be a fighter for middle class families who are feeling the pinch of stagnant wages and diminishing opportunity,” she added. “I will be a fighter for our children who deserve a world-class education, and for students burdened by predatory lenders and skyrocketing tuition. And I will fight relentlessly to protect our coast, our immigrant communities and our seniors. Please, wake us when it’s over. She’s gotta do better and she has to get war, peace and national security in the first few lines, too. True, it’s a transition from AG to Senate, but a more powerful opening could have won widespread respect. Washington needs to be shaken up, and we need climate champions who will fight for the next generation. California Democrats are blessed to have a deep bench of talent, and I will decide soon based on what I think is the best way to continue the hard work we’ve already started together to prevent climate disaster and preserve American prosperity. What about Tony V? 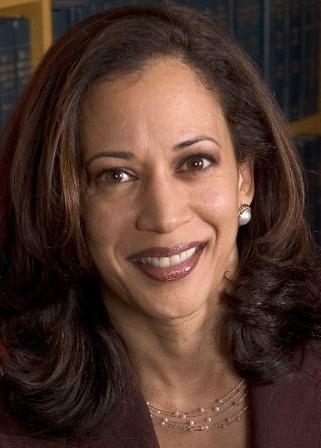 Harris definitely looks much stronger than – and her camp is far less worried about – former LA Mayor Antonio Villaraigosa. His ability to raise funds beyond LA County is questionable, and he left the mayor’s office as damaged goods, not least because of his widely publicized zipper problem. As for Representative Loretta Sanchez: Oy. Best start working on next year’s Christmas card, girlfriend. While it’s too early for any bankable public polling in the race, Harris has a private survey from December (obviously she’s been thinking about this for awhile) that her advisers believe shows her an odds-on favorite. 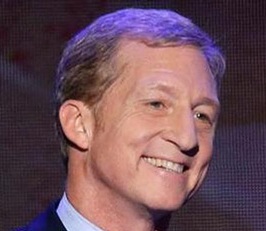 Steyer also has polling that, according to a source in his camp, is “encouraging,” in part because his political involvement mitigates against his untested, billionaire profile. Newsom-Harris Tick Tock: Harris declared her decision to enter the online, 23 hours after Lieutenant Governor Gavin Newsom’s made his Facebook announcement Monday morning that he will not run for Senate in 2016 (also: nine days after she was re-sworn as AG…ah, what the hell). The machinations around the dual decision have made for juicy political gossip and multiple incorrect news stories. 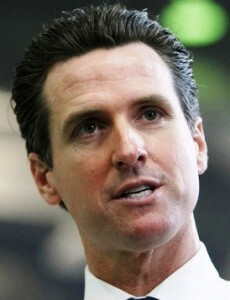 After Boxer’s announcement, Newsom was encouraged by several of his allies to run for the seat. After debate and discussions with mentors and advisers (NOT including the Smith-Newman-Clegg SNC Strategies, consultants for both him and Harris), and with three young children and a wife with her own successful career, Prince Gavin chose to stay in California as Lite Gov – most likely preparing a bid for governor in 2018. Newsom announcing before Harris wasn’t the Machiavellian plot that some political writers have claimed (hello Politico), it was just smart communications strategy. Had he waited until Harris announced for Senate, his decision not to run for the seat would make him look weak, as if he was afraid of running against her. By announcing that he would NOT run, he left the ball in Harris’s court. Moreover, despite reports to the contrary, Newsom and his advisers reached out to inform Harris and her camp before the announcement, including a phone call from Gavin to Kamala early Sunday evening, when he left a long voice mail. Whatever happens, don’t blame us: For the record, Jerry Brown was our longtime pick for the Boxer seat, and there was a fair amount of rending and gnashing around world headquarters here when the governor – exclusively — told Calbuzzer Dan Morain, who labors as SacBee ed page editor and columnist in his spare time, that he wasn’t running. The Senate fits his broad intellect, and he’d be 78 when he took office, which wouldn’t even make him the oldest senator from California – Dianne Feinstein will be 83. Sometimes, great minds really do think alike. Some faster than others.